Sniper Ghost Warrior 3. is set for release on April 4th 2017 on Xbox One, PlayStation 4 and PC. We’re catching up on the stories from the previous games to get you up to speed on what’s happened so far. So here’s all you need to know about Sniper Ghost Warrior, the first in the series. Sniper Ghost Warrior was the first in the tactical shooter series to be released by City Interactive. The first series focused on just the sniping aspect of the game that inserted players into an elite group of snipers who are sent into a hostile area in a fictitious Latin American island. In the sniper elite team, there are two playable main characters including Sergeant Tyler, also known as Razor Six-Four. He specialises in long-range missions and stealth attacks and assignments. You can also play as a Delta Force operator, Private Cole Anderson specialising in the missions involving direct fireflights. He partners alongside a rebel of the hostile military force, called El Tejon. General Vasquez is the leader of the hostile military movement and the main objective is to assassinate him. Sniper Ghost Warrior is set on the island of Isla Trueno, where a ruthless military leader, General Vasquez, has overthrown the government. You play as a CIA agent who infiltrates the hostile force. The CIA agent, Mike Rodriguez fails in his assassination attempt and is instead captured and held captive, until the team of sniper elite's help free him. With Vasquez on the loose, the team aim attacks on his territories and plantations, slowly drawing him out of where he is hidden. As the Sniper Ghost Warrior story develops, characters will betray you and you will have to work as part of a team to collect missions, piece together data and eventually end General Vasquez. Sniper Ghost Warrior can be played as two different characters, Sergeant Tyler Wells and Private Cole Anderson. It is a single player campaign tactical shooter, which operates from a first-person perspective. Large parts of the game consist of stealth, staking out targets and of course, using sniper rifles in missions. The weapons are limited and basic, which include snipers, pistols and knives. You will become a master of various sniper rifles and learn the techniques and breathing abilities your character needs for an accurate aim. The game takes place in a dense jungle environment on the swamped island of Isla Trueno. The game is mostly linear, with scripted missions breaking up the overall campaign story. If you want to catch up on the rest of the story before Sniper Ghost Warrior 3, be sure to check out the Sniper Ghost Warrior 2 plot. Sniper Ghost Warrior 3 is a first person-tactical shooter and the third in the series. Differing from its predecessors, the game follows a less linear path and is now open world. The latest game in the Sniper Ghost Warrior franchise is planning to shake things up quite a bit. 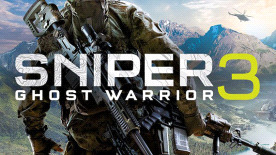 Now it’s breaking out into a brand new open world map fans will be experiencing some big changes to the Sniper Ghost Warrior franchise. The weapons in Sniper Ghost Warrior 3 are designed to be completely customisable, as part of the new structure to the Sniper Ghost Warrior series.